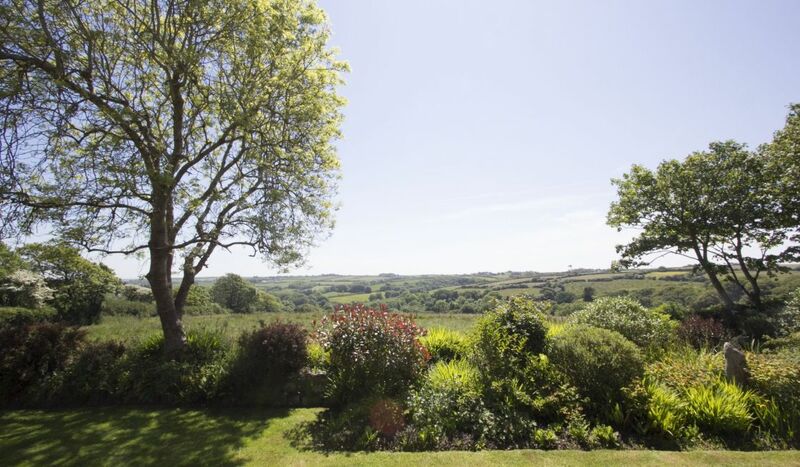 Nestled in a beautiful tranquil valley, Tregoose Farm was once part of the historic 13th Century Trevarno Estate which covered 350 aces of countryside near Helston in South-West Cornwall. 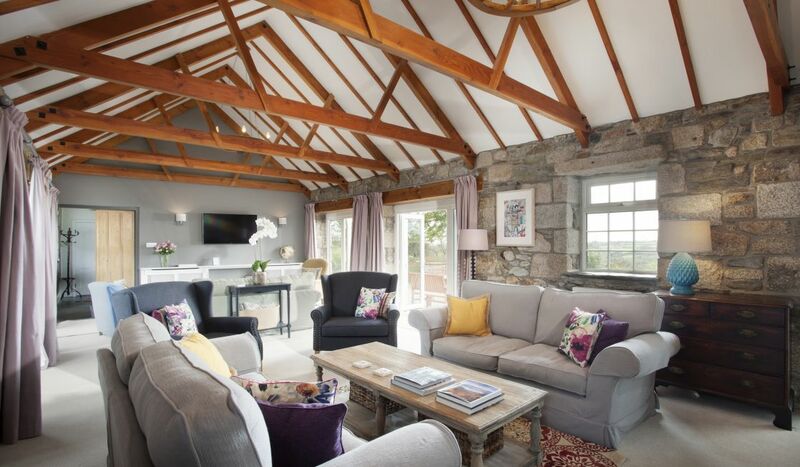 Once a working farm, Tregoose Farmhouse and Tregoose Barn have been converted into two residential dwellings in a pretty courtyard setting. The two properties are now let for self-catering family holidays, small weddings and private events. 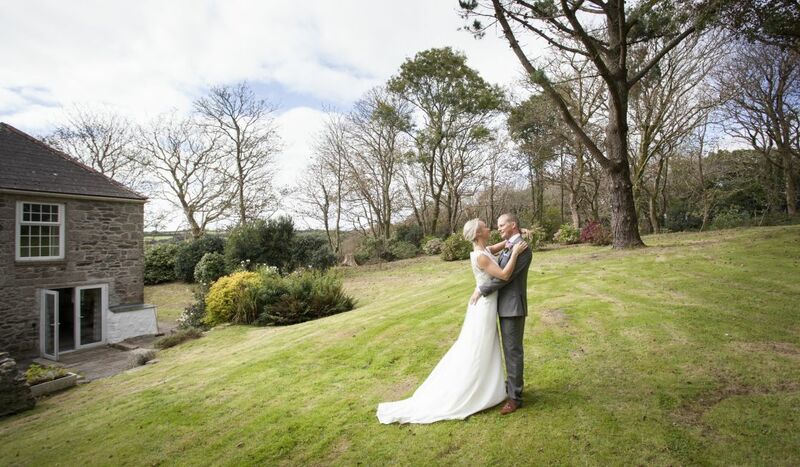 Surrounded by 10 acres of rolling countryside, it is the perfect setting for small civil ceremonies, garden and marquee receptions for up to 60 people. The two separate properties are the Farmhouse and the Barn. Both are beautifully decorated in muted colours, with a new meets old, contemporary and luxurious feel. Both have countryside and garden views from the bedrooms, large living spaces and the gardens are beautifully tree lined and perfect for outdoor games or simply relaxing in the peaceful surroundings. From the hallway doors open to the large living room with vaulted ceiling, contemporary wood burner and generous comfy sofas. Two sets of french doors open to the terrace with uninterrupted countryside views. 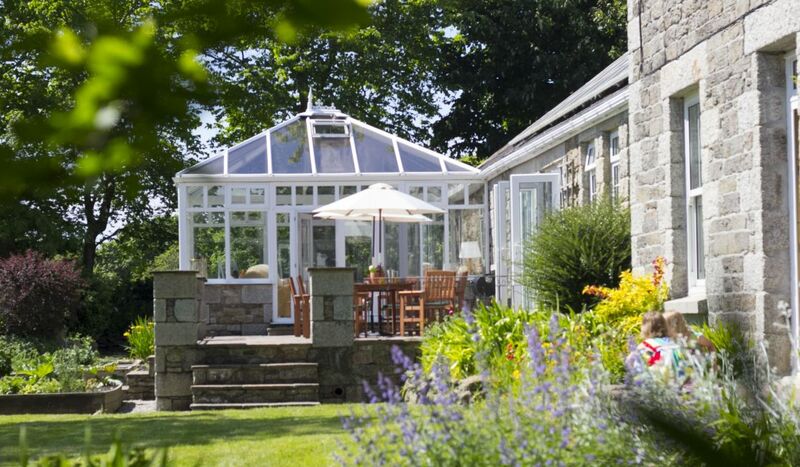 A side door opens to the generous, sunny conservatory. 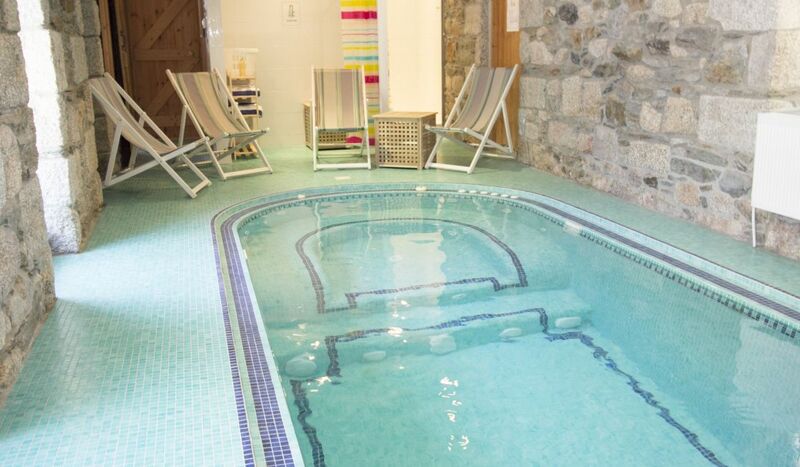 From the conservatory, a door leads to the indoor heated swimming pool with lounges and a shower. To the other side of the hallway is the kitchen with ample space for caterers should it be needed. Beyond the kitchen are a few steps down to the large farmhouse dining room. This versatile room can be used for intimate ceremonies and for dining for up to 24 people. The terrace is perfect for drinks and canapes after your ceremony. It overlooks the mature, beautifully kept front gardens. The gardens are available to use for outdoor wedding receptions under the large tree, games on the lawn or canapes before your reception. The Barn is the property to the right as you enter the beautiful courtyard. The property was extensively refurbished and now has three large luxurious bedrooms, all with ensuites and underfloor heating. The wonderfully light master bedroom is the ideal location for the bride to be to get ready. 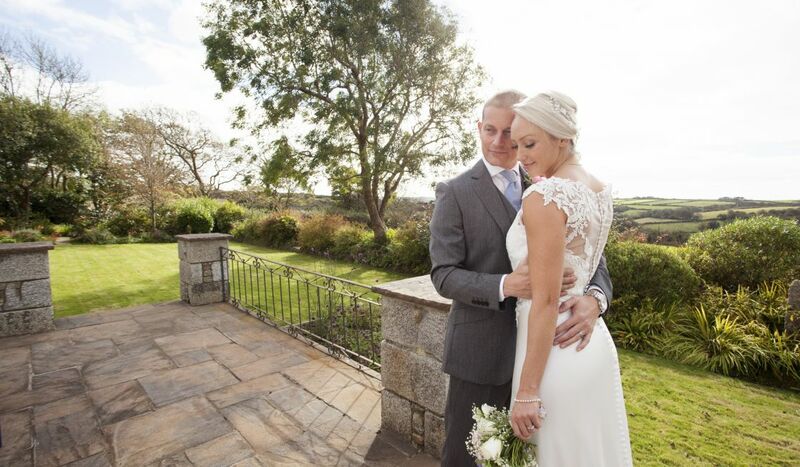 There is ample room for hair and make-up artists and for the bride’s other helpers on the day of the wedding. Large living room with french doors to the terrace and large lawned garden, with trees beyond. Hot tub (from April 2019), patio and gardens. * We welcome dogs and are happy to accommodate up to 4 dogs in total for a fee of £20 per dog. 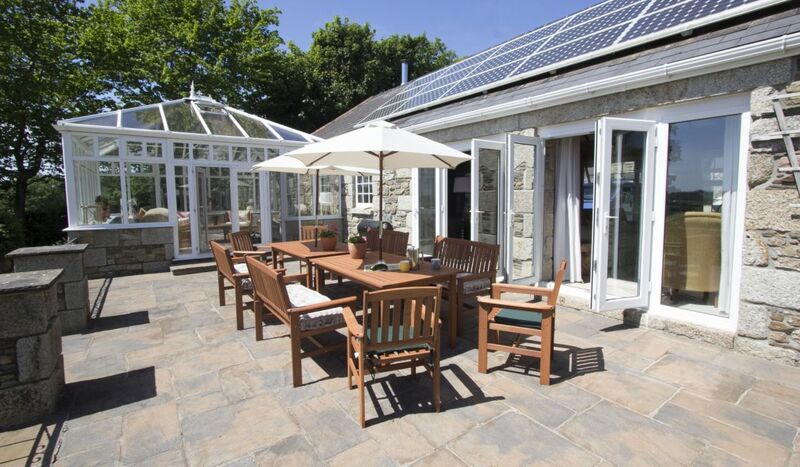 *Additional accommodation can be provided (subject to availability) at a number of our self catering holiday cottages or our bed and breakfast in Porthleven, just 2 miles from Tregoose.